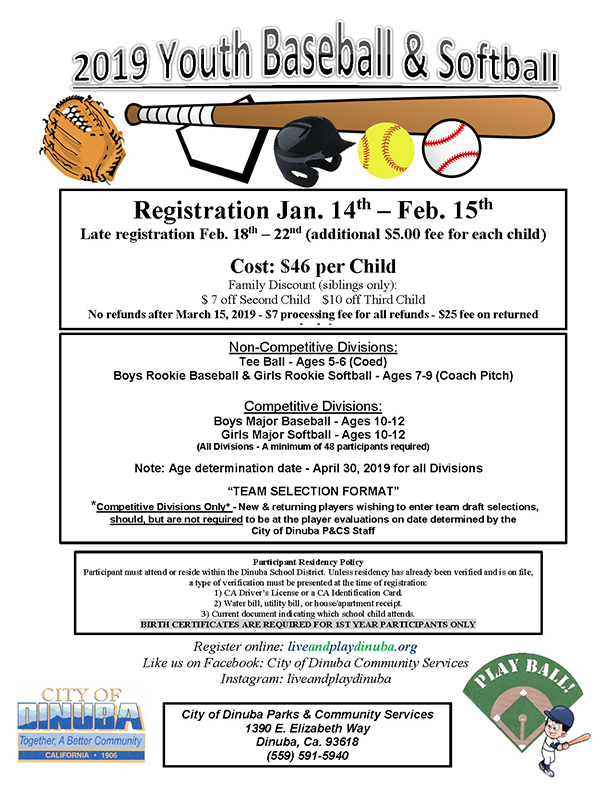 The City of Community Services is always in the need of volunteer coaches for our Youth Sports Programs. Coaching information, clinics and meetings will be offered on rules, drills, and policies necessary to be a successful coach. All coaches and volunteers are required to be fingerprinted and have a background check. Please call (559) 591-5940 to volunteer to help out the youth of our community. The pool is closed to the public Tuesday and Thursday. Register Online or visit the Parks & Community Services Office to register in person. No refunds after March 9, 2018 - $7 processing fee for all refunds - $25 fee on returned checks!